Professor Tim Mousseau seminar May 19th, 2016 -- 6PM at Scripps Institute of Oceanography - OPEN TO THE PUBLIC! Please get the word out! Thanks so much! En route from Fukushima to Chernobyl, Professor Mousseau, a recognized expert on the ecological impacts of nuclear radiation, will be in San Diego on Thursday, May 19th. Dr. Mousseau has appeared on 60 Minutes and was recently featured in the NY Times. Please join us, and share this event with all. https://youtu.be/8IcTGUMwVtU - "Fukushima Catastrophe and its Effects on Wildlife"
Given increasing energy needs related to global development, and the specter of climate change related to CO2 emissions from fossil fuels, there is an urgent need for large scale energy production that does not involve the production of greenhouse gasses. Nuclear energy is one possible solution that has been embraced by many developing countries (e.g. China). But the accidents at Three Mile Island, Chernobyl and most recently Fukushima, Japan, have demonstrated the vulnerability of this technology to human error, design flaws and natural disasters and these accidents have resulted in enormous health, environmental and economic costs that must be factored into any energy policy that includes nuclear as an option. Studies of natural systems are essential since they provide a bellwether for the potential long-term consequences for human populations that by necessity and policy continue to inhabit contaminated regions. Professor Mousseau, will discuss his studies of plants and animals living in Chernobyl and Fukushima. 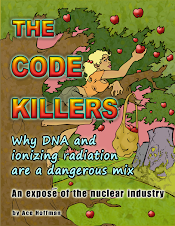 Extensive research on birds, insects, rodents and trees has demonstrated significant injury to individuals, species and ecosystem functioning related to radiation exposure He will present an overview of the effects of radiation on DNA, birth defects, infertility, cancer, and longevity, and its consequences for the health and long-term prospects of wildlife living in radioactive regions of the world.